Envirotech Water Solutions provides comprehensive services to the water and wastewater industry, including planning, design, construction, commissioning, operator training and maintenance of key water infrastructure. Our first contract in the water market was in 2005, for the design, supply and installation of a river pump station for the Tungamah Pipeline, in north-east Victoria, for Mitchell Water and Goulburn Murray Water. Following its successful completion, Envirotech Water Solutions secured follow-up contracts for projects which included the Darling Anabranch Pipeline in New South Wales and the largest water infrastructure project in Australia, the Wimmera Mallee Pipeline. Both of these projects were significant for Envirotech Water Solutions. Wimmera Mallee demonstrated our capability to manage large scale projects on-time and within budget, delivering 31 new fully-operational pump stations including the design, supply, installation and commissioning of over 125 pump sets including pipework and controls, 20 2.5megalitre water storage tanks and over 75 infield control valve assemblies. Achievements on the Wimmera Mallee Pipeline project included the successful delivery of the project in less than 4 years- well ahead of the 10 year timeframe originally proposed and within the $688 million project budget. 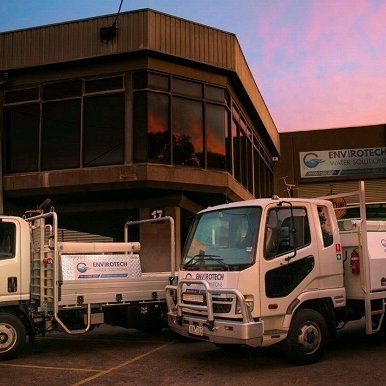 Envirotech Water Solutions’ success on these projects has established the company as a contractor of choice for large scale water infrastructure projects, ensuring repeat business from large utility and municipal clients throughout Victoria and interstate.